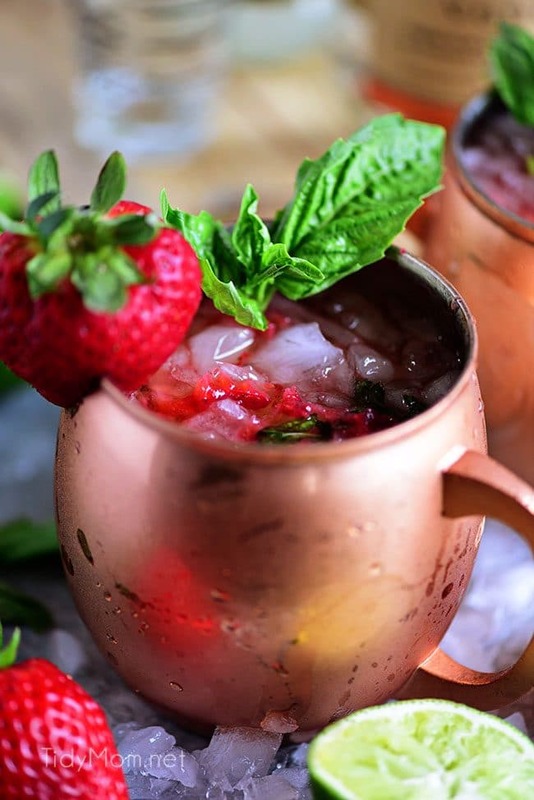 Strawberry Basil Moscow Mule is the perfect summer cocktail. 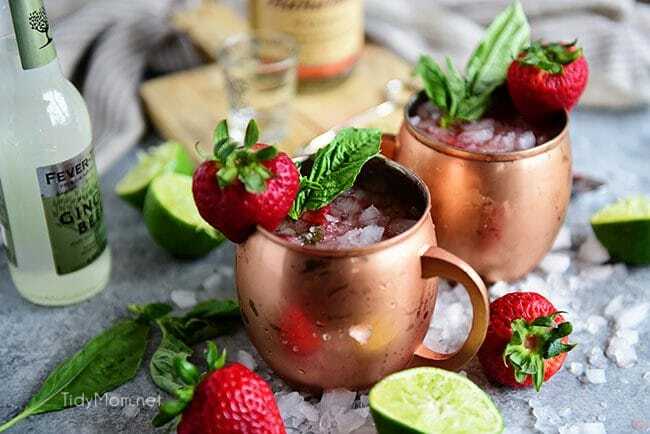 It’s a traditional Moscow Mule with vodka, ginger beer and lime, that gets fresh strawberries and basil muddled into the mixture. It’s the best cocktail out there for Summer and you should probably be drinking one over the weekend. I made these fun cocktails. This is a Moscow Mule, but with the addition of juicy strawberries and fresh basil. And yes, they are totally as awesome as they sound. And easy too, which is a must for summer! My daughter and I have been a bit obsessed with Moscow Mules for the last year or two. They are easy to make at home, really good……and how fun is it to sip out of an ice cold copper mug? If you aren’t familiar, a Moscow Mule is a cocktail made with vodka, fizzy ginger beer (NOT ginger ale), and lime juice served over crushed ice in a copper mug. It’s sophisticated but simple. To summer-fy the Moscow Mule, I just added fresh strawberries and basil. The strawberries provide a little sweetness, with a suggestion of spice from the basil. The true signature of this mixed drink is the copper mug, not only for presentation, but it also offers an extra-cool sensation. The metal quickly takes on the icy temperature of the cocktail offering a frozen sensation on your lips, especially good for summertime drinking! 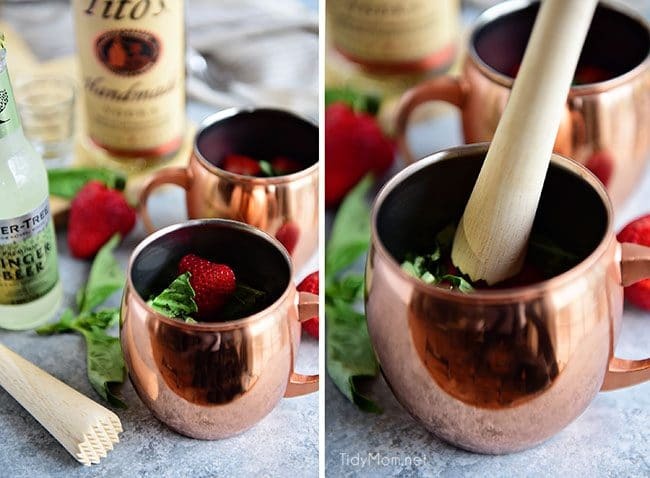 Using a muddler, or the end of a wooden spoon, smash the strawberries and basil with a splash of ginger beer until the juices are fully released. If the combo of strawberry, basil, ginger, and vodka have not yet sold you, just look at how pretty these are?? I’m thinking backyard BBQ drink FOR SURE. 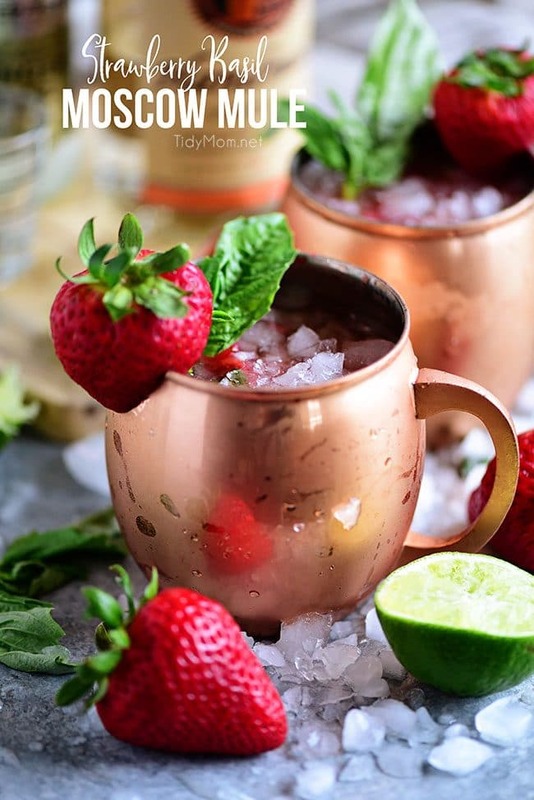 Raise your perfectly-sweet-and-tangy Strawberry Basil Moscow Mule mug to summer!! 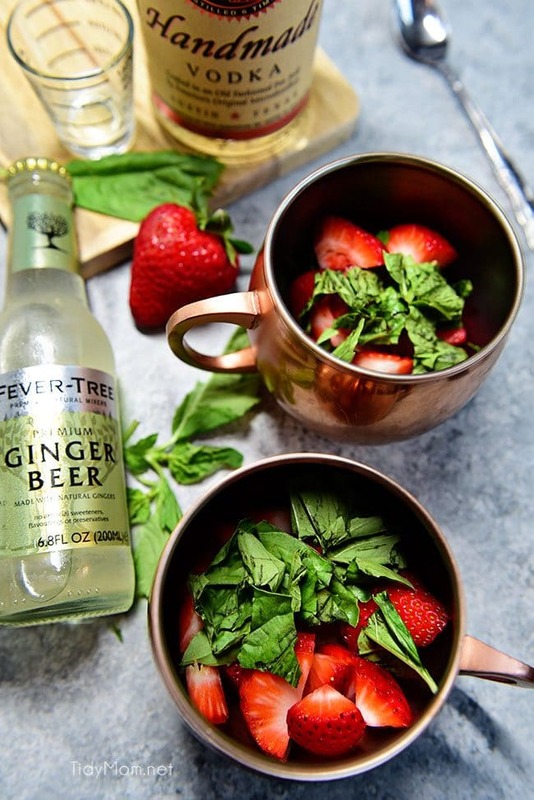 Like this Strawberry Basil Moscow Mule Recipe? Pin It! 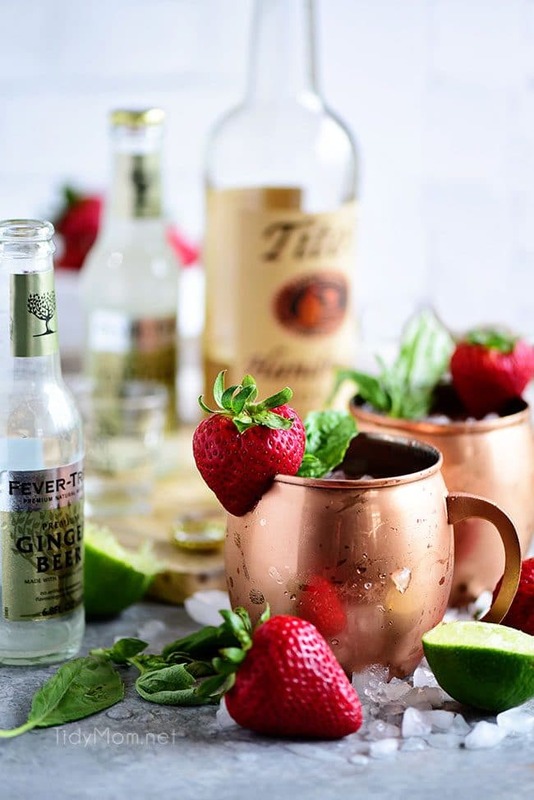 Strawberry Basil Moscow Mule is the perfect summer cocktail. Made like a traditional Moscow Mule with vodka, ginger beer and lime, with the addition of muddled fresh strawberries and basil. Fill mug about 3/4 of the way full with crushed ice and top off with chilled ginger beer. Stir with a spoon and garnish with a fresh strawberry and basil leaf. Enjoy! NOTES: You can also mix using a shaker and strainer.Simply muddle strawberries and basil with a splash of ginger beer in shaker. Add the lime juice and vodka to the shaker and fill three quarters of the way with ice. Shake until chilled, about 15 seconds. Strain the mixture into the copper mug and top off with chilled ginger beer and stir. Garnish and enjoy. For a sweeter drink:add agave nectar when muddling berries. 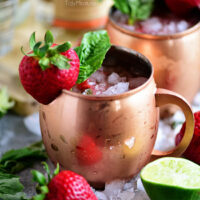 While Moscow Mules are best served in a copper mug to keep the libation chilled, you can serve them in a highball glass. I had my first Moscow Mule at my cousin’s wedding a couple years ago and fell in love with the copper mug. 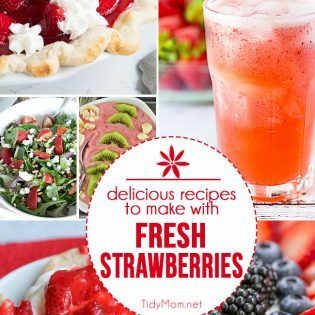 Your fresh strawberry & basil version sounds so tasty! What a gorgeous drink! Can’t wait to try it. Thanks, Cheryl! This looks like the perfect cocktail for my movie night tonight! 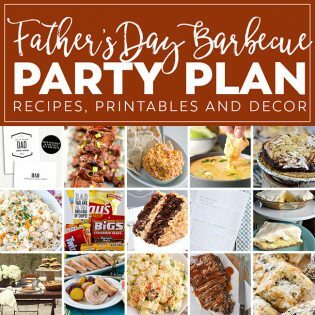 I missed this for Memorial Day, but it is definitely going to be on my July 4th menu. Thanks! All I can say is WOW! I cannot wait to try these this weekend. Strawberry and Basil are two of my favorite flavors so this recipe really hits the jackpot for me! Love this!! I will be making this again for my girlfriends! ??? ?